Bring nautical style to your bedroom with the Regatta Bay Sailboat Pillow. 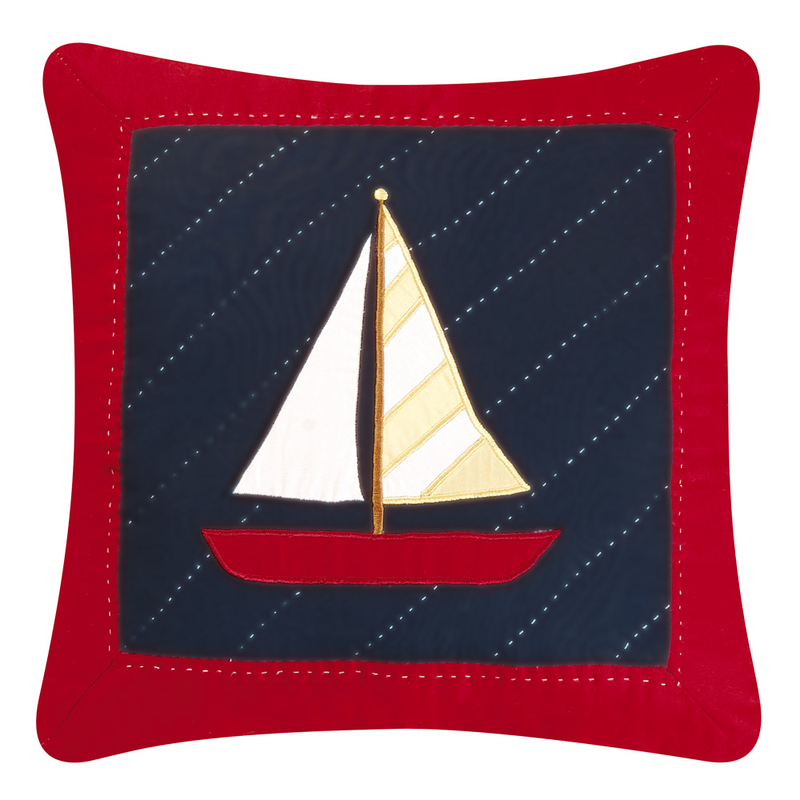 This coastal decorative pillow has a quilted sailboat with contrasting border. Ships from the manufacturer. Allow 1 to 2 weeks. Cannot express ship. For more pieces, we ask you to take the time to look through our complete variety of coastal decorative pillows at Bella Coastal Decor today.